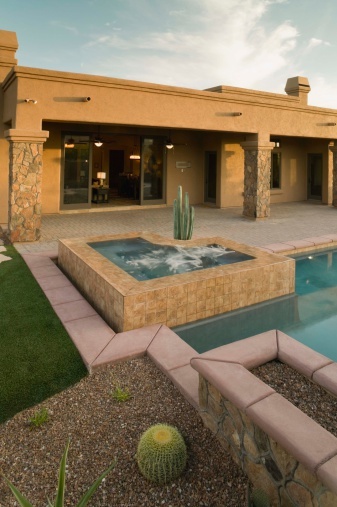 There are several reasons for taking an above ground pool down, but regardless of why you are doing it, the concern is how to do it. When you take the pool apart, it is important to do it in the proper order so that nothing, including yourself is at risk. If you have the original boxes that all of the parts came in, it is a big help in the dismantling process, but by no means is it essential. Drain the pool. Place your pole and vacuum head with the vacuum hose attached in the bottom of your pool. Turn the system to the waste setting and while holding the vacuum head near the bottom, begin vacuuming to waste. Do not walk away and just leave the vacuum system working by itself. You must monitor the entire process so that your pump does not run dry which would damage it. Operate the vacuum until only inches of water remain. During the draining process, other members of your team can begin to dismantle and remove the ladder, the return inlet fitting and any pool lights or pool alarms you may have. When the water is evacuated, dismantle the skimmer and unhook the pump and filter system. Remove the drain plugs from both the pump and filter canister and let any accumulated water run out. Empty out the pump basket of any debris. Empty out old filter media be it sand, D.E. powder or cartridge and clean the inside of the canister. Once clean and dry, replace the plugs on both the pump and the filter canister. Remove all of the top caps from the posts first, followed by the entire top ledge making sure to keep all similar hardware together. Remove the top rail followed by the coping strips. Place the pool liner into the pool area and continue to dismantle the top plates and then the uprights and bottom plates. Unbolt the wall and prepare to roll it into a tight coil. Secure the pool wall with cord or duct tape to ensure that it remains coiled. Remove any remaining water from the liner and fold it up. If you plan to reuse the liner, make sure it does not remain in the sun during any part of the entire dismantling process. Sun shrinks vinyl, so keep the liner moist. It does however need to be completely dry for storage. Winter storage needs to be in a heated building. Remove all water from any plastic parts of your equipment. Cracks may develop from expansion and contraction due to cold temperatures. If you plan to reuse the pool, keep an inventory of the parts you have grouped together along with basic reassembly instructions. Replace all rusted parts such as sections of the bottom rail, top and bottom plates and any screws that water has compromised.